With Chinese New Year (CNY) arriving on February 5—click here for a rundown of events in Richmond—this is also a great time to sample the symbolic foods that help make this one of the biggest annual events in the calendar. We chatted with expert local food writer Lee Man about some of the celebratory cuisine attached to Chinese New Year (also called Lunar New Year or Spring Festival). Read on for his tips about what to look out for as well as some of the traditional meanings behind many dishes. Keen to dine out in Richmond for New Year? Reserve a table and dive right in! Tourism Richmond (TR): How important is dining to CNY celebrations? Lee Man (LM): Dining together may be the most important activity undertaken by families during Chinese New Year. Gatherings with family and friends are paramount, and the importance placed on dining reflects a desire to be close to those you love and cherish. To have a family member miss a CNY dinner would be very upsetting. The food served symbolizes ideas of bounty, plenty, good fortune, and good health—Chinese culture loves poetic double meanings and metaphors! TR: What are some of the traditional CNY dishes? 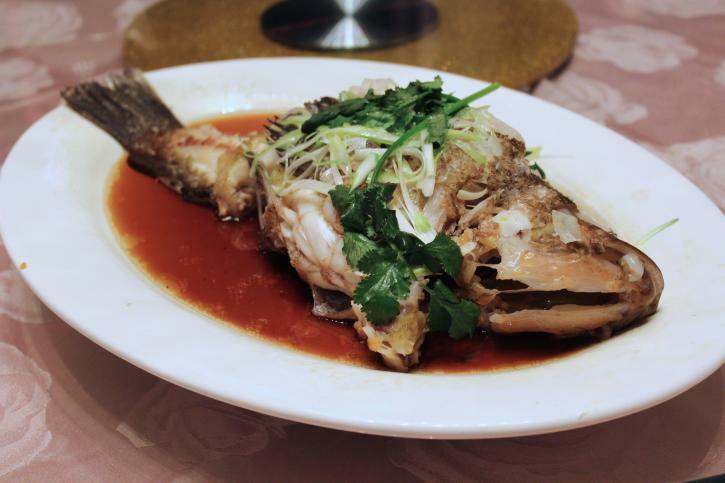 LM: You&apos;ll almost always see whole fish being served. The word for fish means “abundance” but the wholeness is also important: the head and tail represents good beginnings and good endings—as well as togetherness for the family. You&apos;ll also see black moss fungus and dried oysters: this dish’s name means “wealth and good tidings.” Pork tongue is also a traditional favourite and it means “ease in business dealings.” In addition, cakes and rice cakes suggest progress and rising higher each year. 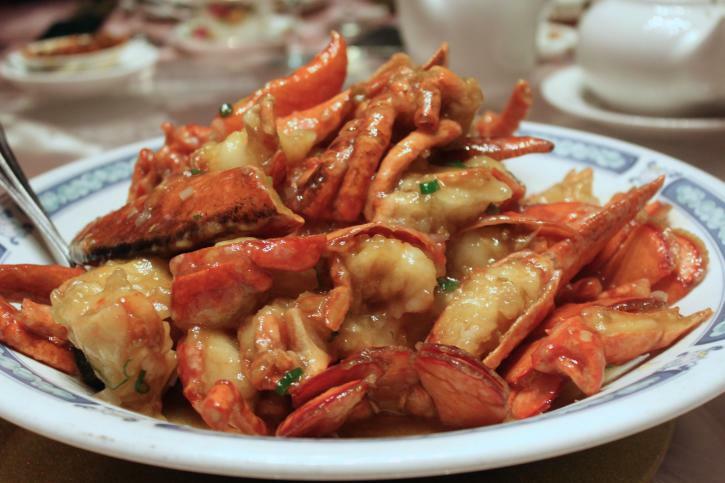 CNY dishes should be extravagant and celebratory; you often see things like lobsters, abalone, and the like. And there are variations around China: in Northern China, for example, families gather to make dumplings—jiaozi—with each dumpling representing wholeness, cohesion, money, and good fortune. TR: Are there symbolic dishes that should be avoided at this time of year? LM: There are certainly some bad luck things to avoid. Squash and melons—their names sound like “death”—should not be consumed. And for Hong Kongers, there should be no squid because fried squid is slang for being fired! TR: What dessert items are traditionally eaten for CNY? LM: You’ll see lots of cakes or “goh” at this time of year. Little sweet candies—generally round in shape—are also popular to have on hand. Red watermelon seeds are very common, too: the red colour symbolizes luck and the seeds represent growth and opportunity. Sweet red bean soup also remains very popular, complete with mochi balls filled with black sesame—they represent wealth and luck. TR: Flower markets are a big part of CNY festivities and there are several in Richmond. What should visitors look out for at them? LM: It&apos;s important to ring in the New Year with beautiful plants and flowers—and there is symbolism with each choice. Kumquat plants laden with golden round fruit are very popular, the fruit symbolizing wealth and good fortune. You&apos;ll also find lots of mandarin oranges in peoples’ homes during CNY, ideally with stems and leaves attached to symbolize life force. Plum and peach blossoms are also popular, signalling abundance, life and approaching spring. But the markets aren’t just about fruit: you&apos;ll also see pots of water narcissus—fragrant and full of happiness—as well as big sprays of gladiolas full of vibrant colours that represent happiness and cheer; they’re like floral fireworks! TR: Do you have any advice for those planning to dine out in Richmond for CNY? LM: Choose a place and book early. The restaurants will have set menus and generally very little substitution is allowed. There will be two seatings: pick the early one if you are punctual and want to move onto other activities. The later one is a bit more relaxed. In the restaurant, it will be loud and a bit nuts but just relax and enjoy the boisterousness of the evening. You&apos;ll likely see regular diners giving staff lucky envelopes to show thanks for a year of good service and to wish the restaurant prosperity for the coming year. TR: Which dishes do you particularly look forward to at New Year? LM: I always love whole chicken dishes. I love seeing the head and tail of the chicken and the idea of togetherness really appeals to me. I also love steamed fish: we are very lucky to have great live seafood in Richmond and this is a good excuse to tuck in. Here’s my pro tip on the fish: when you finish one side, don&apos;t flip it over to get to the flesh on the other side. Instead, lift the bones out and enjoy accordingly. For many people, flipping the fish over is bad luck. Finally, I always look forward to steamed daikon cakes at this time of year. My mom makes big batches of them—full of preserved meats, mushrooms, and cilantro—to give away to friends (and me!) as lucky dishes during Chinese New Year.